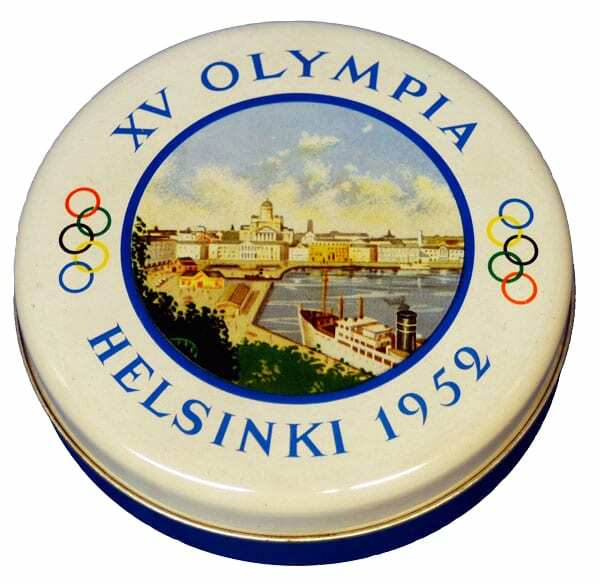 Description: On the cover the text XV OLYMPIA HELSINKI 1952, the Olympic rings and a view of the Olympic Pier at the harbour of Helsinki. The bottom is bluish grey, worn paint. Other information: Sold in the Olympic year for 120 Fmk.